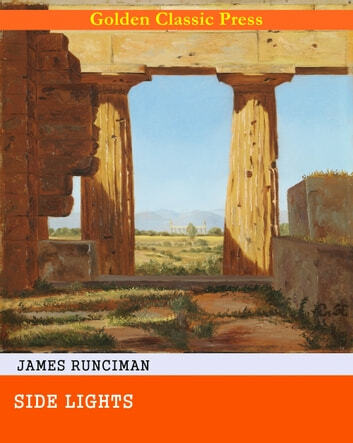 Side Lights By James Runciman Side Lights By James Runciman is fact is sufficient to condemn them unread. For of all fools the most incorrigible is surely the conventional critic who judges literary wares not by their intrinsic merit or demerit, but by the periodical in which they first saw the light. The same author may write in the same day two articles, putting his best work and thought into each, but if he sends one to The Saturday Review and the other to The Family Herald, those who relish and admire his writing in-the former would regard it as little less than a betise to suggest that the companion article in The Family Herald could be anything but miserable commonplace, which no one with any reputation to lose in "literary circles" would venture to read. The same arrogance of ignorance is observable in the supercilious way in which many men speak of the articles appearing in other penny miscellanies of popular literature.